What do comfort, convenience, and an upscale lifestyle all have in common? The Wellington at Willow Bend! 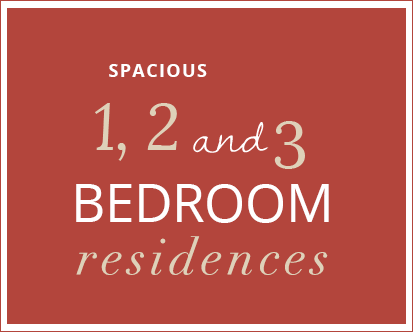 Our one-, two-, and three-bedroom apartments offer everything you need to keep pace with your busy lifestyle, without cramping up your wallet or requiring long travels to reach all the areas you visit the most. Major employers are nearby and include Frito Lay, Pepsi-Co and Wells Fargo, and a quick and easy commute will get you to hundreds of the most popular restaurants, shops, and parks in the city. Our Plano apartments for rent are pet-friendly, too! Within your apartment and in the community just steps from your door, you’ll be surrounded by all the finest amenities and features available in the neighborhood. Enjoy in-home additions like walk-in closets, fireplaces, washers and dryers, and wood plank floors. Step outside and access our swimming pool and sundeck, business center, playground, fitness center, and our clubhouse with Wi-Fi. It’s all within a safe, gated entrance and ready to complement your lifestyle. For more information and to schedule a personal tour of our apartments in West Plano, contact our staff today! The Wellington at Willow Bend is anything but ordinary, as is evidenced by our master-planned layouts and floor plans. With sizes ranging from 658 square feet up to 1,098 square feet, you’re sure to find one that suits your needs! Choose a home with one, two, or three bedrooms, and up to two baths. No matter which layout you choose, you’ll enjoy exciting additions, smart spaces, and plenty of room to customize your living space just as you deserve to! Inside, you’ll find walk-in closets and plenty of storage space throughout. Living rooms are expansive, and the oversized bedrooms are designed for your supreme comfort. Spacious bathrooms and private patios and balconies are featured, and we have floor plans that include kitchen pantries, plans that feature separate dining areas, and more. Every apartment boasts expansive windows throughout to let in plenty of beautiful, natural sunlight, too! Browse our floor plans below, and contact our staff to confirm availability of our Plano, TX apartments today! At The Wellington at Willow Bend, you’ll be surrounded by the contemporary benefits and features you deserve in your day-to-day life. The key to your new apartment in Plano unlocks a host of perks, both in the community and within your own living space. Living at The Wellington at Willow Bend means afternoons at the poolside, mornings at our fitness center, and evenings walking your beloved dog at the nearby Jack Carter Dog Park. Our resort-style community offers much more than just the basics, like a clubhouse, business center, carports, and on-site management. Our in-home features are designed to welcome you home each day and are the perfect complement to our spacious floor plans. Relish the feel of wood plank floors beneath your feet, and enjoy your upscale kitchen, in-home washer and dryer, air conditioning, walk-in closets, and expansive living room and bedrooms. Spend evenings curled up near your fireplace, and rest easy knowing you’ve earned the upscale lifestyle that our apartments in Plano, TX offer. Contact our staff today to check availability and to schedule your personal tour. 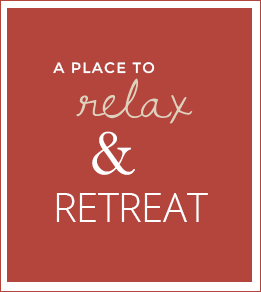 More than just a place to live--offering daily relaxation and revitalization, The Wellington at Willow Bend Apartments are a complete living experience. We know it's important for you to stay connected and in touch 24 hours a day. Use the online portal system for all your needs as a resident. 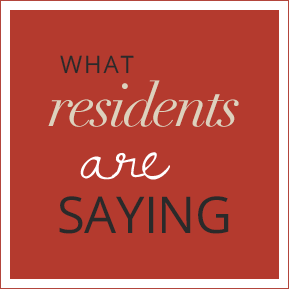 Take a look at why our residents love living at The Wellington At Willow Bend Apartments. If you’ve dreamed of living in a stunning, resort-style community filled with luxurious features and amenities, what you’ve been dreaming of is The Wellington at Willow Bend. Each apartment home is accentuated by high-end amenities and features designed for your high quality lifestyle. Our master-planned community is just what you need in a premium urban oasis just minutes from all the best that Plano has to offer. With a shimmering swimming pool, playground, gated entrance, walk-in closets, wood plank floors, private balconies, upscale kitchens and much more, you’ll always be well-taken care of as you spend your days living amongst these posh amenities. We welcome you to contact our staff, either by filling out our brief contact form, by emailing us, giving us a call, or by stopping in at our office. We’ll be more than happy to answer all your questions, check availability of our homes and amenities, and will schedule a personal tour for you, as well. Thank you for your interest in The Wellington at Willow Bend West Plano apartments; we look forward to meeting you!